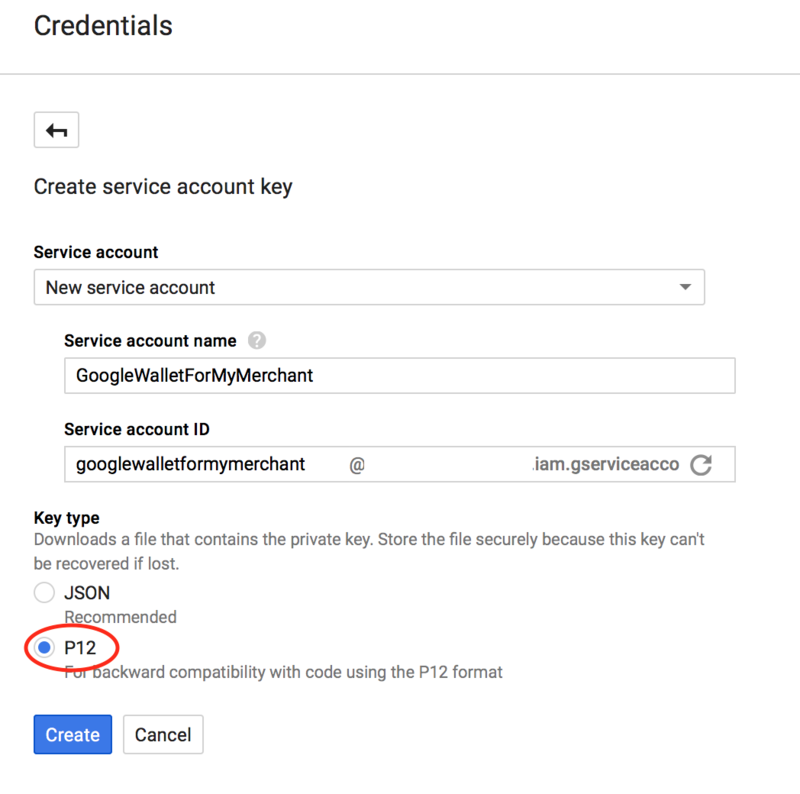 If you are willing to serve Android Pay along with your Apple Wallet mobile passes, you first have to follow these steps in order to set up your credentials and platform settings. 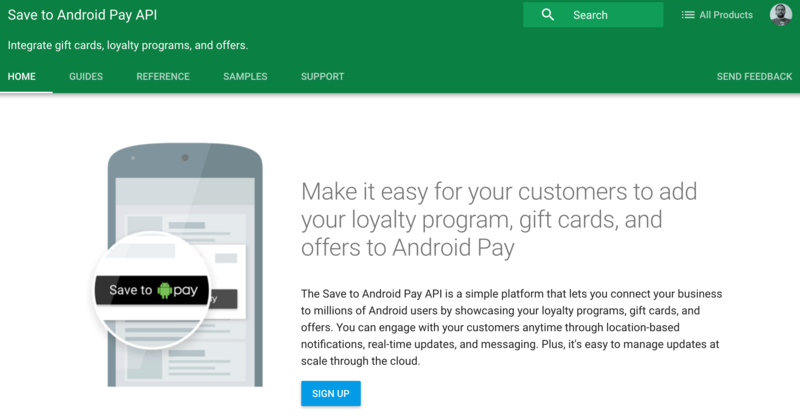 Even at Google the Android Pay service is in a kind of experimental period. The documentation has significantly changed since we start the integration and you, as a merchant, must get in contact with their support in order to enable it for you account. 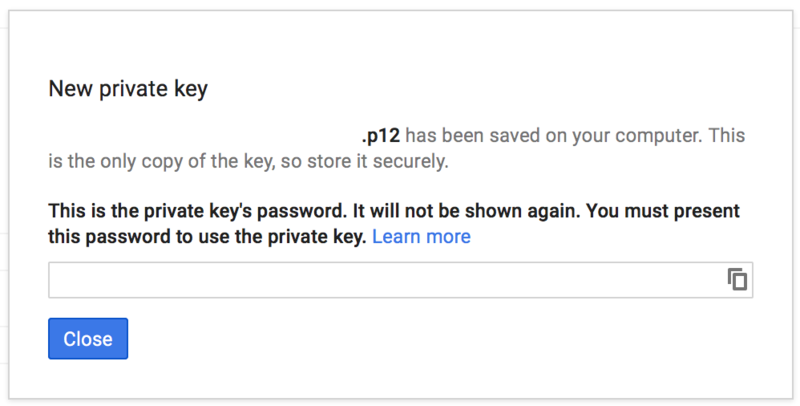 The first step is to navigate to https://developers.google.com/save-to-android-pay/ and do the sign-up for the service. Then fill the interest form with your personal and merchant’s information. 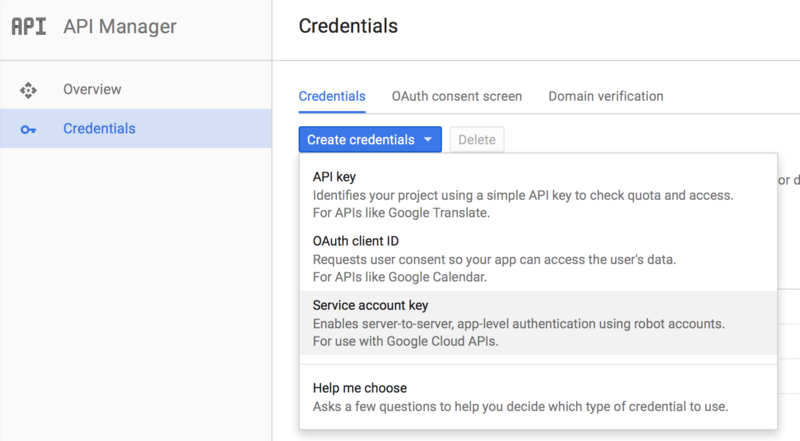 After submitting the form, you’re going to be contacted by someone from Google in order to finish the habilitation for the service. At the end of the conversation, they will tell you that your account already has support for the service and inform the ISSUER_ID and a short documentation on how to enable it. Just add the recently created email as a user and it’s done. 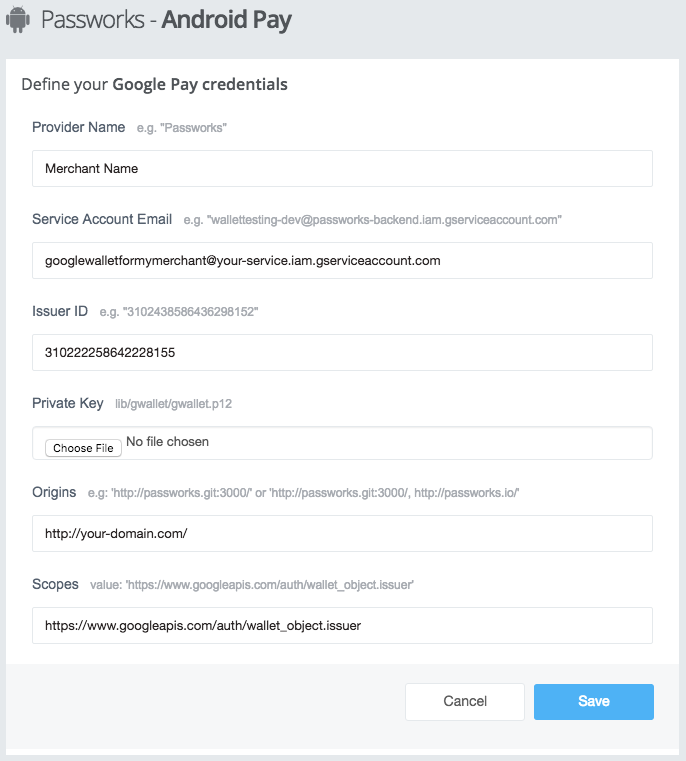 At this point you will see the options to allow your Organizations to create campaigns with support for Android Pay. For more information about how to create, install the campaign and passes, please check the Android Pay documents, and if you find any problem, please contact us.